The “Build Your Bundle” – Homeschool Edition is designed to contain the best educational digital products on the internet! Sprinkled throughout the bundles are well known publishers, including products on Cathy Duffy’s Top 100 list! Unlike overwhelming bundle sales with nearly a hundred ebooks, the “Build Your Bundle” – Homeschool Edition is a brand new concept that will allow homeschoolers to pick and choose what they want to purchase ~ all at a MASSIVE discount of up to 90% off! Teach your K-3 children basic skills and core truths through easily understandable lessons and hands-on activities. Our K-3 Bundle includes reading, math, science, handwriting, character training and Bible resources. Your children will experience life in 17th century America as they learn about the settlers and our 13 original colonies. You will have everything you need to savor these first days of discovery! Your 4th-6th graders will develop foundational skills and gain insight into the ancient world using the comprehensive collection of resources found in our 4th-6th Grade Bundle. This bundle features both a science curriculum and a creative writing course from Cathy Duffy’s Top 100 picks. You will get a popular curriculum that has a blend of history, geography, and art. Also included: Math, Bible, handwriting and copywork resources, writing guides, timeline cards, ancient history notebooking pages, creative writing for both boys and girls, and an editable weekly homeschool planner for Mom! 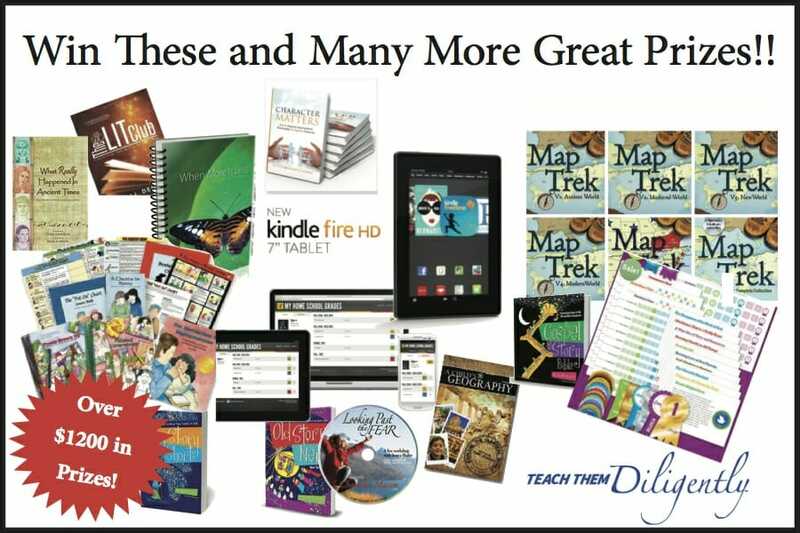 This bundle features a full language arts curriculum and two science curricula, one from Cathy Duffy’s Top 100 picks, as well as a complete geography and history curriculum, a popular history timeline/book of centuries, Renaissance and Reformation notebooking pages, a classical music curriculum and famous composers notebooking pages, and a creative writing collection that even “non-writers” will love! This bundle features a New Testament Bible curriculum, an introduction to psychology, a full year of math curriculum, resources for world history and geography, philosophy, home economics, college prep, grammar, a creative writing collection that even “non-writers” will love, an anatomy science unit study from Cathy Duffy’s Top 100 picks, and more! You will receive enough materials for a full year of high school! Amazing things await you in our Charlotte Mason Bundle! This bundle features a complete curriculum using the Charlotte Mason Methods for language arts, handwriting, and reading, a full geography curriculum, a plethora of resources for studying nature, artists, poetry, and a variety of “extras” just for mom! Learn all about Charlotte Mason and enjoy a special bonus (a $90 value all by itself) of great, classic audio books! This bundle is jam packed full of amazing resources your family will love! Save money, strengthen your marriage, and streamline your schedule using our Mom Bundle. Find the encouragement you need and the insight to speak to your child’s heart (even that difficult child!). Whip your home into shape and train your children to do their chores effectively using a popular book “chores program”. This bundle brims with useful tools to help you bring calm to the chaos. Get them all for just $10! * When you purchase ANY 2 pre-assembled bundles you will get the 3rd pre-assembled bundle of equal or lesser value for 50% off! * When you purchase ANY 2 “build your own” bundles you will get the 3rd “build your own” bundle of equal or lesser value for 50% off! * When the sale goes live on July 21st, tell your friends about it using our referral system that will be found on the top of the website! When 10 of your referrals visit our site using your unique link, we will give you a code to save 10% off your total purchase! Now, if you are like me, you might forget about the sale when it gets here! We are prepared to send you a reminder email. Click here and enter your email in the “Remind Me” box and you will get an email the day the sale goes live! Pre-Sale Promotional Giveaway – Enter to win $100 towards the purchase of ANY of our individual or “build your own” bundles! Winner announced the day the sale starts! The first ever Homeschool “Build Your Bundle” sale is almost here! You can enter to win $100 towards your purchase to use when the sale goes live on 7-21-14! Enter now through 11:59PM EST on 7-20-14. The winner will be announced the day the sale starts! Be sure to look for the special coupon code you will get when you pin the giveaway on Pinterest! For one week only (July 21-28) save up to 92% on bestselling homeschooling products, including MANY on Cathy Duffy’s Top 100 list! Anatomy Science Unit study from Cathy Duffy’s Top 100 picks, and more! You will receive enough materials for a full year of high school! Learn all about Charlotte Mason and enjoy a special bonus (a $90 value all by itself) of great, classic audio books!